It doesn’t matter that you are an experienced or a good at using a computer/laptop, Often we need to reinstall Windows or a clean installation , at least once a year . After a clean installation of Windows a big problem or in other words , You have to face a big headache . That is Drivers problem , Searching an appropriate and accurate driver is a very tough job , especially when you search on the internet and it becomes almost impossible if you are a newbie computer/laptop or internet user . Some experienced and wiser users always keep a backup of all the drivers in a safe place . Well everyone does not do so . Driver-soft.com gives a perfect and foolproof solution of this headache , Driver Genius , It makes this task a lot easy . Do you remember ? if you are a regular reader of I Hate cracks , I had shared Driver Genius 9 with genuine serial key with you on 1 March 2013 . Well this great giveaway is still working , But today I found Driver Genius 12 to share with you . Driver Genius 12 professional edition value $29.99 per serial key is today’s gift from Driver-soft.com . Driver Genius professional edition v12 comes with four praiseworthy features , Search an appropriate and accurate driver , Drivers Backup , Drivers Restore and Drivers Update . Get Driver Genuise and there is no need for searching drivers on the internet or buying a driver CD/dvd . Driver Genius has a huge driver database it has more than 30,000 device drivers in the database for every hardware like Motherboard, Sound card, Video card, Network card, Modem, Mouse, Keyboard, Scanner, Printer and Digital devices etc . And the best thing is that all drivers are official versions or WHQL versions, you can use them without any compatibility issues . 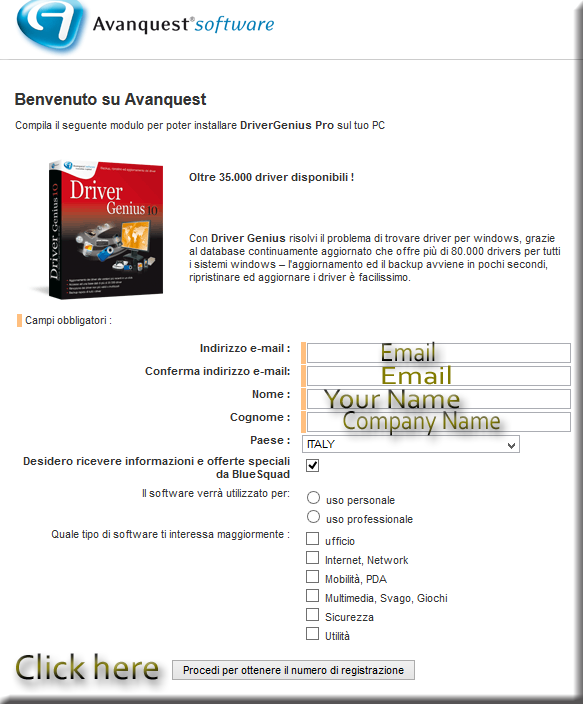 Driver genius has a so easy to use interface , in simple word , you can install drivers without any extraordinary computer knowledge or expertise . Just with some mouse clicks and you are all done . Developers of Driver Genius continually improve this for us , You can synchronize your local Driver Genius database with the latest drivers by using the LiveUpdate program. You will never face old or outdated drivers that cause slow down a computer/laptop performance and speed, if you have installed Driver Genius on your computer/laptop . It has an awesome ” Drivers Backup ” feature , Driver Genius can instantly detect and quickly backup all drivers installed on your system. Driver Genius can compress the backup drivers to a zip file, self extracting file or an independent executable auto installer program . Drivers Restore that’s personally my favorite feature in it, If you have Driver Genius 12 then there is no need to install drivers one by one after reinstalling Windows . Just one click can install all your backed up drivers automatically . You can also install drivers via command line silently . But I would not recommend you if you are a novice user . If you need to install drivers on multiple computer/laptop with the same hardware configuration, In other words we can say that Driver Genius 12 saves a lot of our precious time after a clean installation . You can get more information on the Homepage. Recently Driver-soft.com has released Driver Genius 14 . 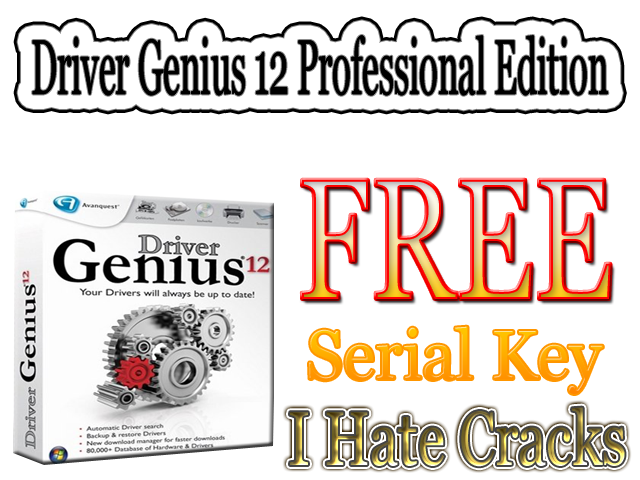 Driver Genius 12 Professional Edition is a paid software ant the normal price of its is 29.99$ per serial key but you can grab a legal serial key for free . 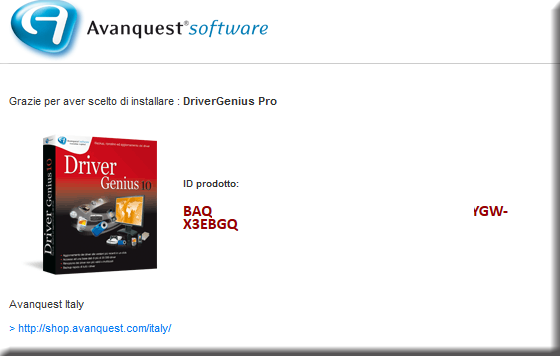 You can download Driver Genius 12 Professional Edition from here and install. Visit the Giveaway page and submit all needed information . Unfortunately the giveaway page is in Italian language so you will have to use Google Translator . Couldn't able to load the giveaway page……..please fix it and let us know. I really sorry , Now I have updated it . thanks a lot for putting a lot of effort in finding legit serials…. more power to you & to your blog!